DSP | Stampers With Altitude!!! Who doesn’t love a sale?? I know I do. 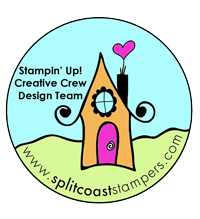 I have a TON of the sale products are in my Stampin’ Up! Cart! I know you want to go shopping. So, if you click on the image to the link, it will take you to my store. What’s more? Some of the items I used in the projects I made below are retiring… and some are even on sale!! HURRY this offer ends Jan 3rd!! Yesterday, I posted about the Hostess with the Mostest. I was so inspired by these bottles I made a total of 5 different designs. This one happens to be my favorite. While I am not a fan of pink, I do love these colors; the glitter, the shiny foil doilies, and so much more! I hope these bottles inspire you too! Think of your next holiday party. Is it Christmas? Is it New Years? Does it matter?? Give the Host a gift… it could be wine, champagne, or sparkling cider! P.S – It would fit over a REALLY big bottle of beer too! LOL or a 2-liter bottle of soda. I sold this bottle of sparkling cider but I have 4 other kits for sale to make your own Designer Bottle. Below you will find three more examples too! I have included the links for the Pink one only. If you need help shopping for three, contact me. Some of the paper is retiring. Some of items are on sale right now! Don’t miss out on the great sale! !